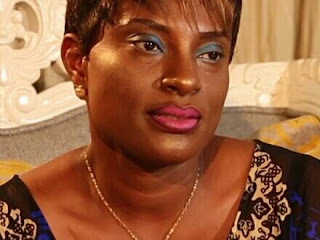 A relationship expert and life coach, Mrs. Ifeoma Chigbogwu, has decried the rising deaths and injuries on spouses in Nigeria due to domestic violence, describing such relationships as ‘domestic jungles’ reports ITRealms. Chigbogwu, an award-winning author and blogger in a 15-minute video made available to ITRealms, explained that the spate of domestic violence which manifestes in wife-beatings, mutilations, violence against pregnant women and unborn babies, has made many marriages death traps and chambers of horrors and torture. The motivational speaker, who also runs an outreach programme that caters for widows and orphans, observed that men were no longer the only culprits in domestic violence as a growing number of female partners have reportedly become aggressors in recent times. “Lately, the women are in fierce competition with the men…in this gory domestic saga. If they are not pouring hot oil on the men, they are stabbing them to death or setting the bedroom or house on fire while the men sleep”, Chibogwu lamented. Chigbogwu, however, advised intending couples to observe their prospective partners carefully to discern any attitudes or actions characteristic of abusers. “Look out for reverential fear of God and self-discipline, otherwise your Knight in shining armour could become your nightmare and your Queen of your castle, could become your Quinine. “During courtship, everyone should be on the lookout for tell-tale signs that are usually ignored. Habits or demonstrated attitudes. These are called red flags or danger signals. “Some people can cover up their malicious and evil energies and intentions and you simply have no clue but if truth was told, most abusive relationships do not start overnight. You will notice the lack of transparency, the lies, the negative and dysfunctional behaviors”, she added. According to Chigbogwu “How can you see a man who slaps his mother or tells you that his mother is useless, and you go ahead and marry him happily because you feel that will save you from mother in-law issues? How can you hear a young lady tell her father or older brother to shut up and mind their business, because she has her life to live and you are happy that she is independent, particularly if she told them so in defense of you during courtship?